With an aim to reduce child mortality and improve maternal health in Bihar, an initiative called ‘Ananya’ has been taken by BBC Media Action in collaboration with the Bill and Melinda Gates Foundation. The program run in eight districts of Bihar will make use of simple mobile phones to provide a range of health services to the people residing there. The program will target an audience of 27 million women of child-bearing age with the help of 200,000 community health workers. These health workers would be responsible for generating awareness among the people about the government health services and counsel them to take advantage from it. Besides, they will also help them adopt healthier behavior. “The real innovations are that these services can have a significant impact on people’s lives at an unprecedented scale, and the public-private partnership model that makes them affordable and sustainable,” said Sara Chamberlain of BBC Media Action, India. 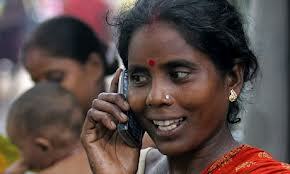 According to research by BBC media Action, all health workers either will own or have access to a mobile phone. In order to expand and refresh the knowledge of 10 life-saving health behaviors and enhance the communication skills of the health workers even a training course called ‘Mobile Academy’ has been developed. The audio course will be easily accessed from any mobile as it is delivered via Interactive Voice Response (IVR), so no additional software will be required either for it or the ‘Mobile Academy’. A multimedia service called “Mobile Kunji”, which provides information on these health issues, has also been introduced. To make things easier for people, the short codes and tariffs are kept common across six of the biggest mobile operators in India. BBC Media Action is also planning to expand the services to more districts of Bihar and two other states — Uttar Pradesh and Odisha. The program validates the fact again that mobile has become the integral part of our lives now.